Jim Lee recently posted a bunch of his rejection letters back in the day when he was applying for both Marvel and DC. I was amazed that an industry icon such as him could be rejected, not just once… but many times over the span of these letters. Back then, there wasn’t any Twitter, FB or even email to speak of. Everything was type / hand-written and sent via courier. So you could just feel the level of anxiety they get just waiting for responses from editors. And if you notice the timelines of his submissions up to the point when he actually got the job penciling for Alpha Flight, the remarks slowly changed from a harsh smack down to glimmers of hope. Each iteration of his work evolved until it was good enough for Marvel’s standards. But the moral of the story is resilience despite the odds. “Resubmit when you’ve learned how to draw hands” could be a remark that could have dashed the dreams of most artists, but he just persevered. To become the publisher of the company that once rejected you is a underdog comeback worthy of Mexican soaps. As a kid growing up in the 90s, he was the only artist I could recall the most. He was one of Marvel’s workhorse artists back in the day, penciling not only the comics, but the Marvel cards I collected and traded. 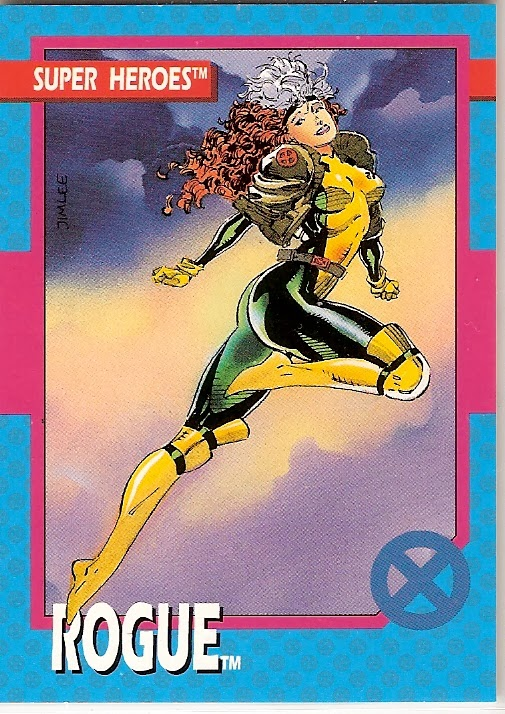 For me, the X-Men is Jim Lee. Going to SDCC this year and getting the chance to meet him personally in a DC signing was a check in my life bucket list. 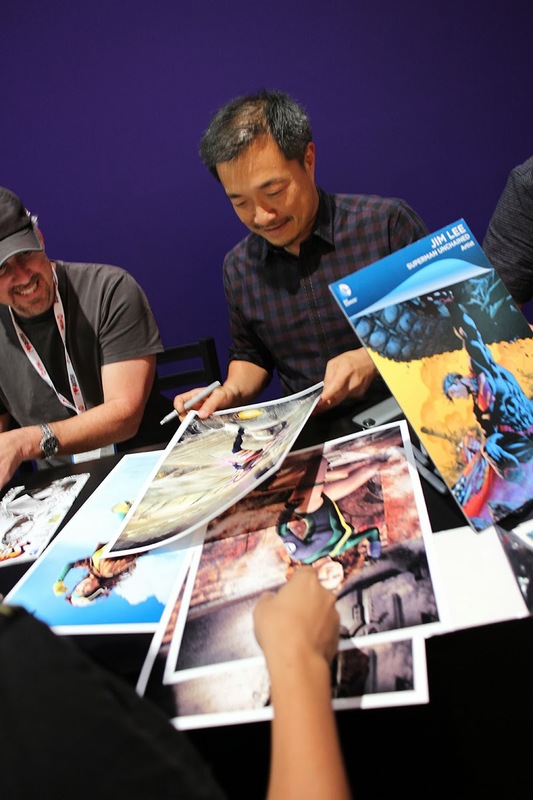 SDCC Friday was at full swing with lots of events happening simultaneously. Joe and I had to split up because the Stan Lee signing on the other side of the convention center was at the same time as Jim’s over at the DC booth. After wrestling past Stan Lee, I jumped into the DC line alongside Joe. The line was snaking around the DC booth and beyond, but the moment signings started, it was pretty much a smooth-moving line. The wait (not to mention waking up early to get a tag from the booth) was all worth it. 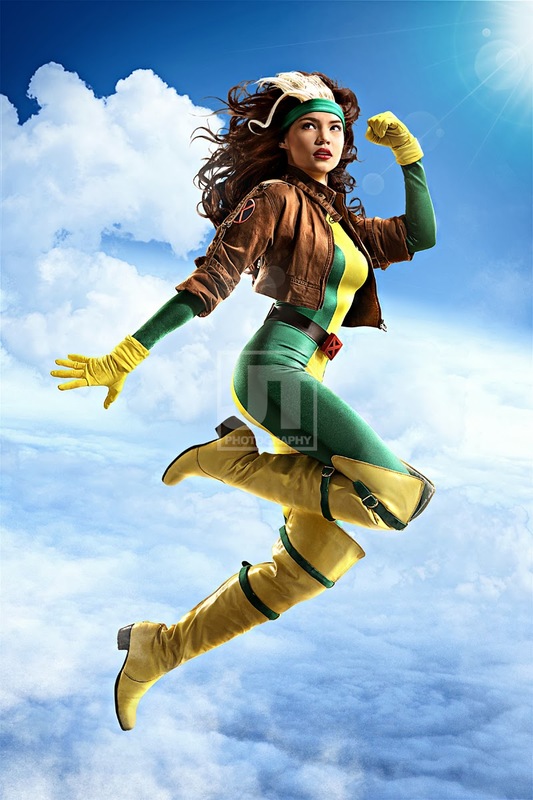 I reverted back to that 10-year old giddy boy when he looked at the Rogue (Rhian) image and said, “I knew where you got this idea.” Personally, it was probably the best compliment we received. Of course it was impossible to get it exactly like the card, but at least we tried. He took a long hard stare at Psylocke, and started asking questions about the elements and why we composed the image as such. “Oh, that’s CG” I replied, then realized that was a facepalm answer. The brief critique on Psylocke was summed up with Scott Williams (the guy left of Jim in the picture) by saying, “you just got art directed by Jim Lee!” It was a creative smack down I gladly accepted. Thanks for bringing that up after we’ve been on the line Joe.